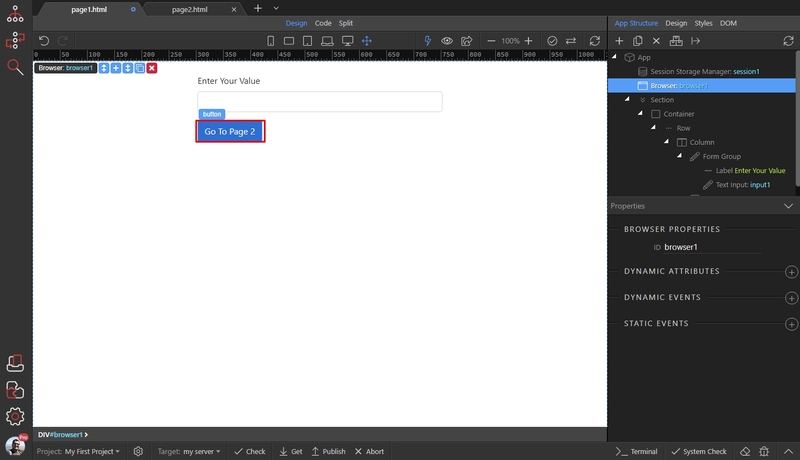 Sometimes you need to pass values between different pages of your site. You can easily do this in Wappler using the State Management Component. 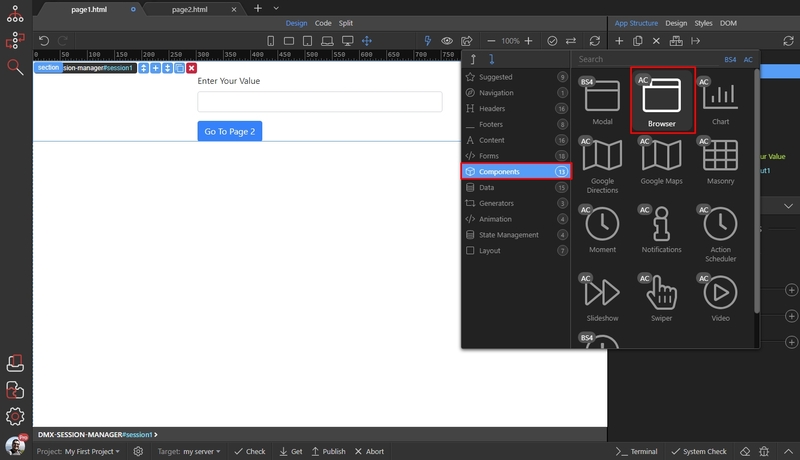 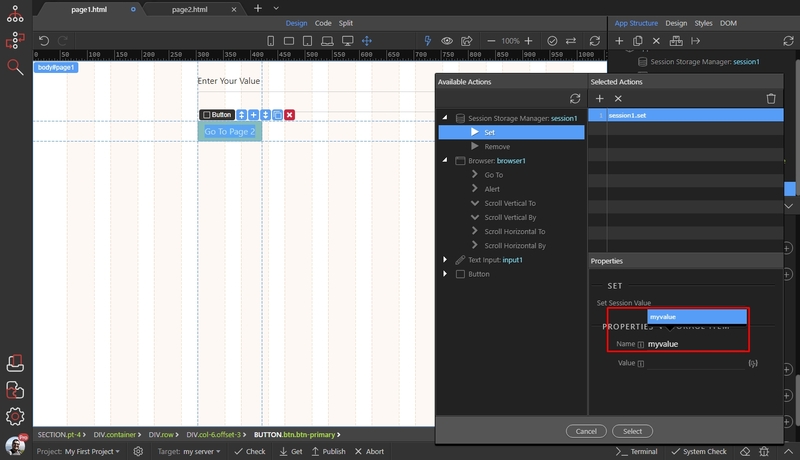 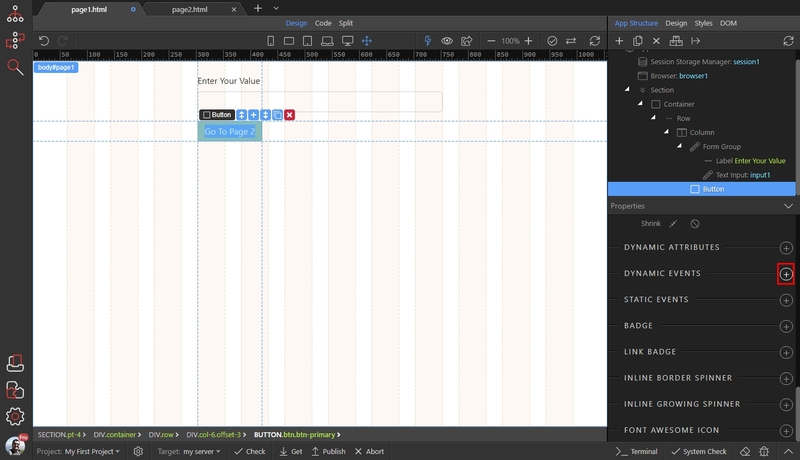 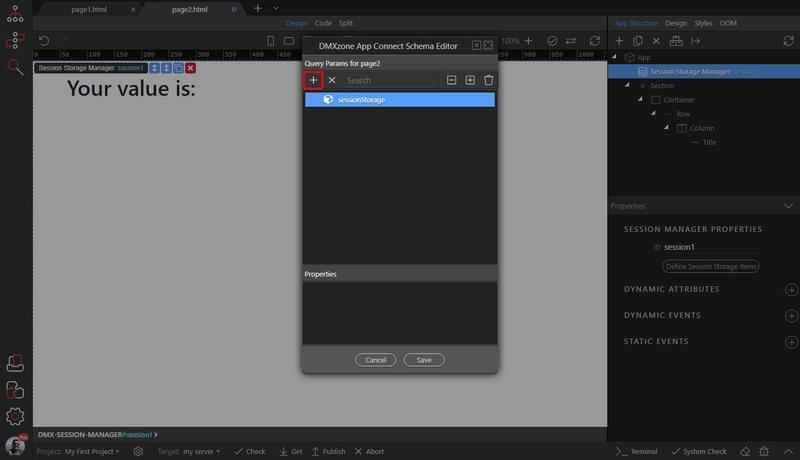 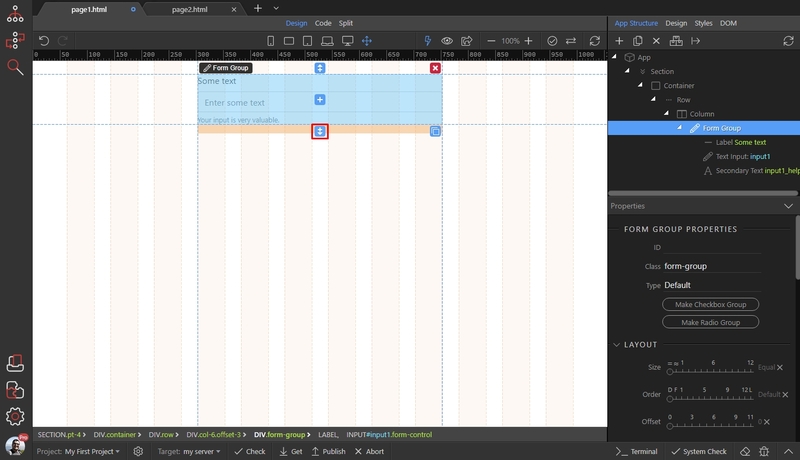 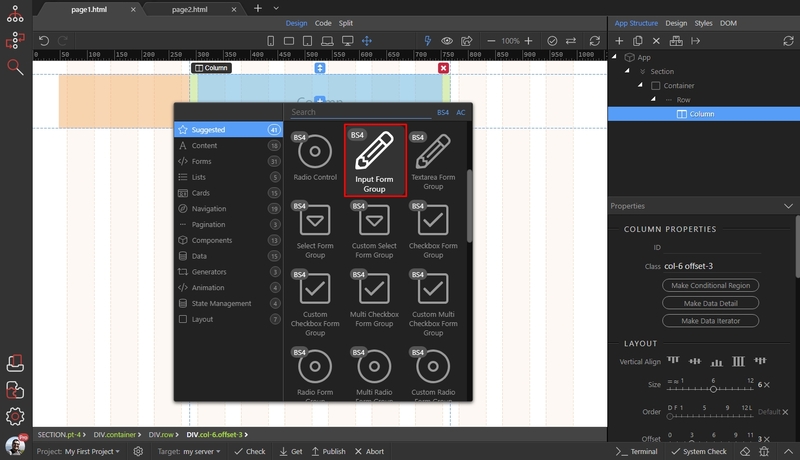 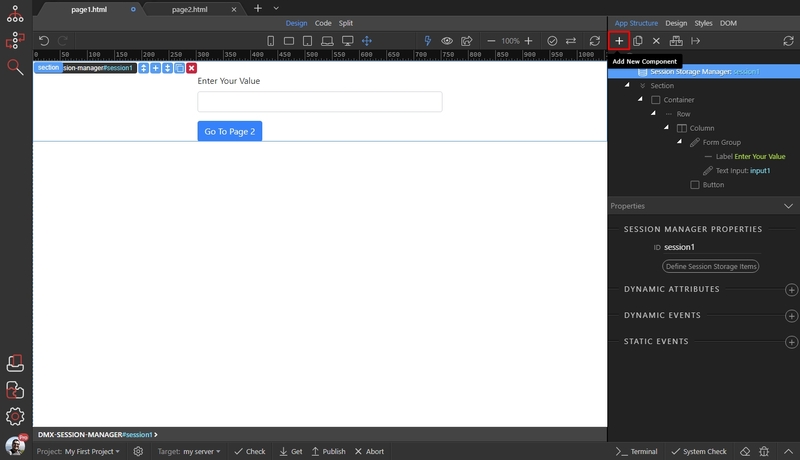 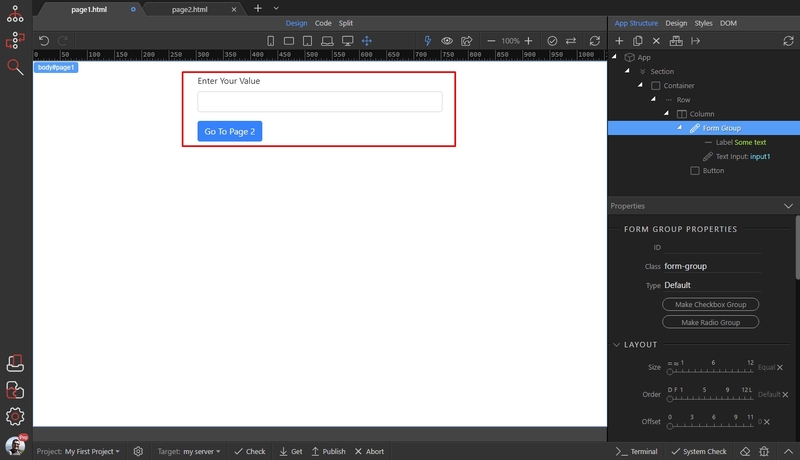 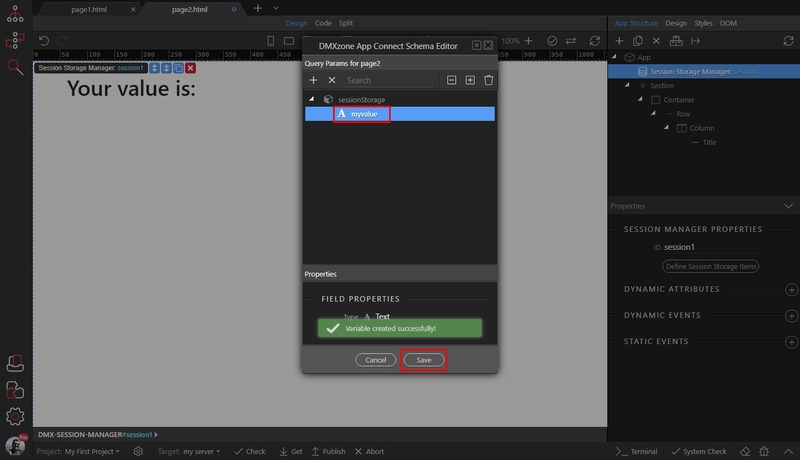 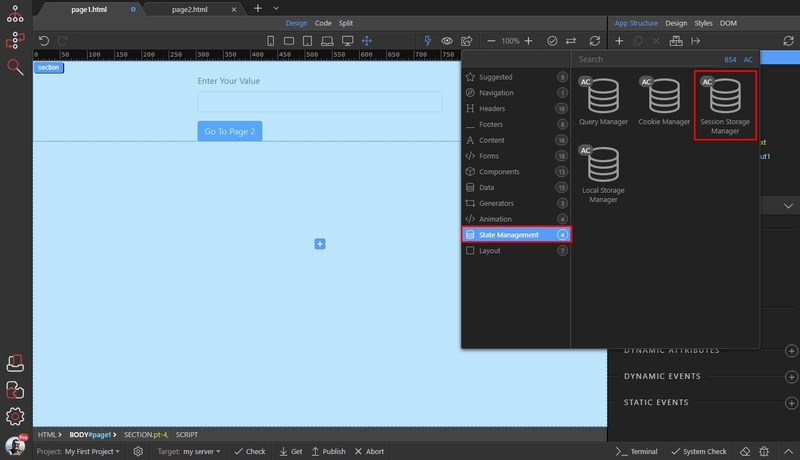 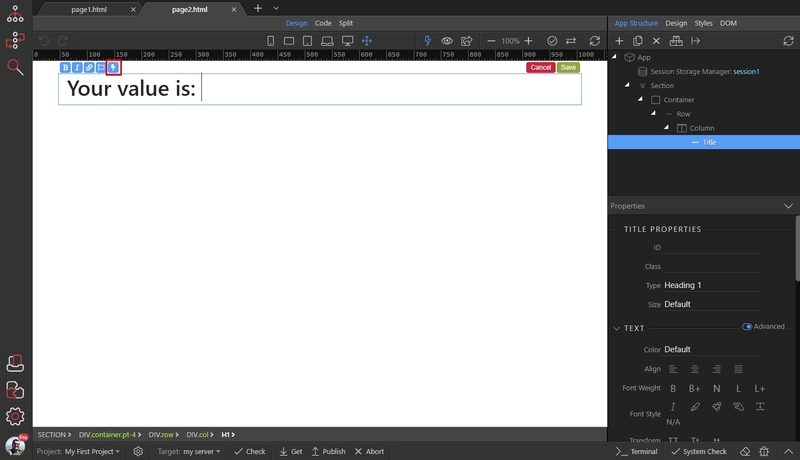 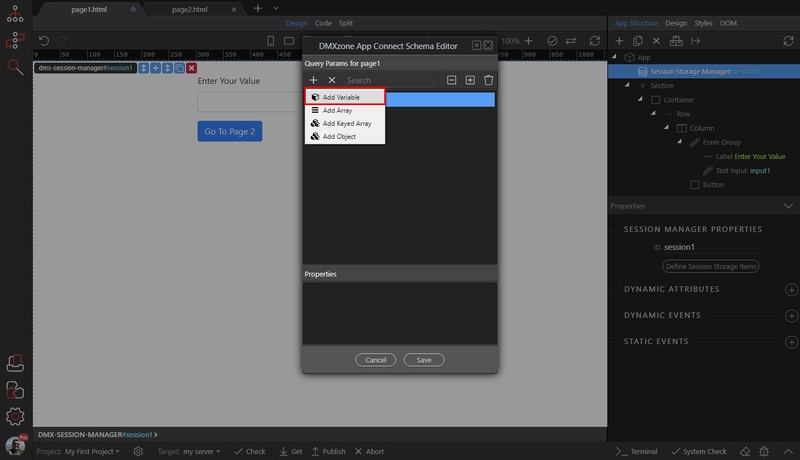 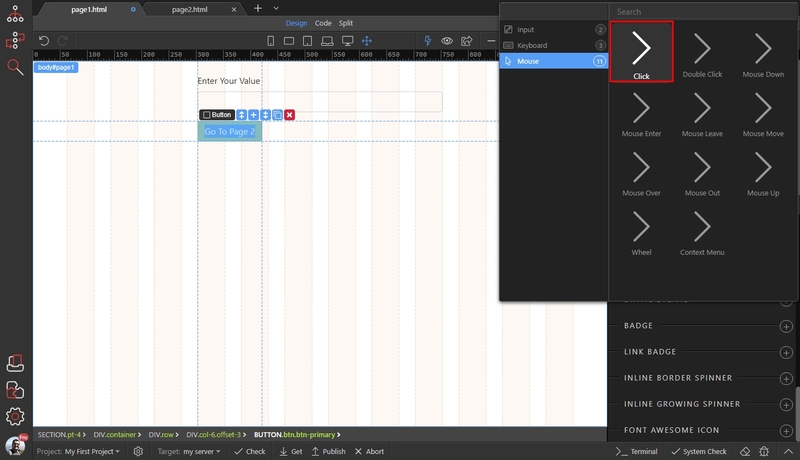 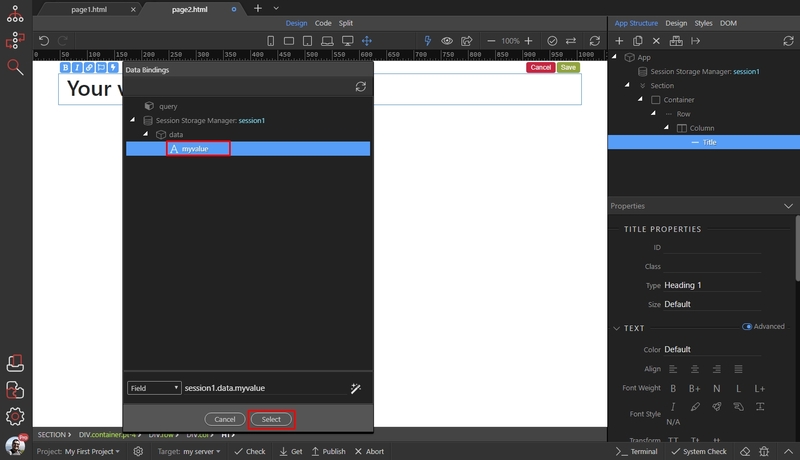 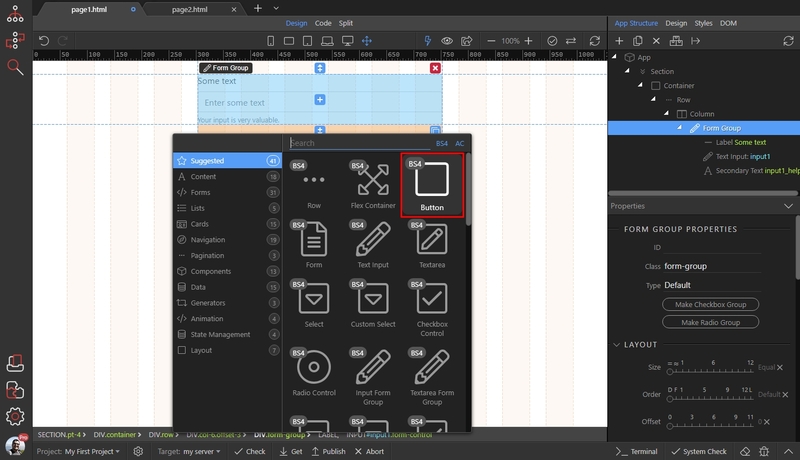 There are several ways of doing this - for example using a cookie or a session, but in this tutorial we will show you how to pass a form input value, to another page, using a session. 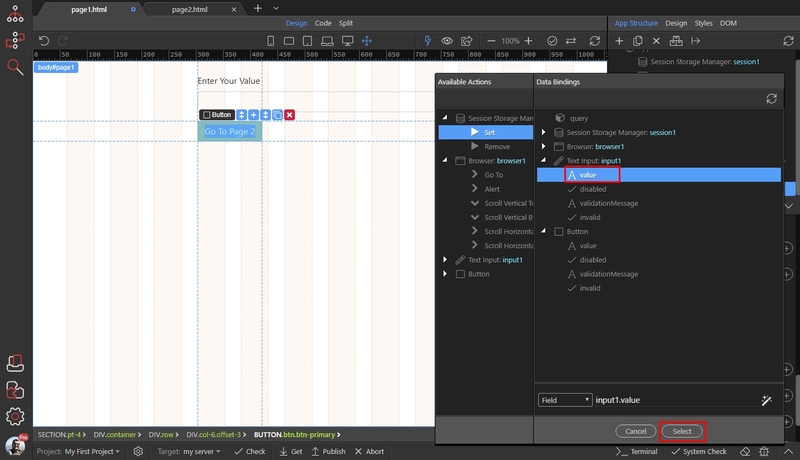 Note: the same goes for any other value and not only for for inputs. Save page 1 and open your page 2. 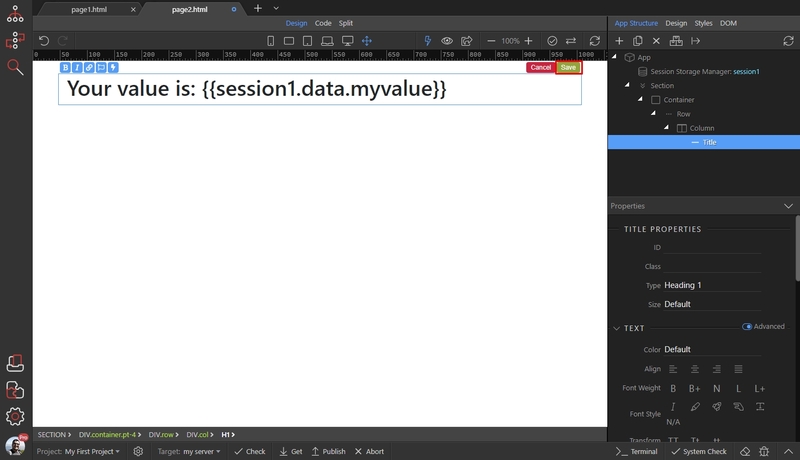 Our page 2 contains only a title and that’s where we are going to show the Session Variable value.